Tribute Funeral Services are a Western Suburbs Independent Funeral Director based in Ravenhall, Melbourne and have been established for over 35 years. Thank you tot he team at Tribute funerals. They were very attentive and intuitive to our family's requirements for our loved one. Their attention to detail and preplanning made the day go very smoothly and gave great comfort to all in attendance. Melbourne's only Western Suburbs Independent Funeral Director with complete facilities, serving and supporting families across Melbourne at an emotional time, with care and integrity. Our Independence enables Tribute Funeral Services, to provide not only a quality service, to guide our families through the unfamiliar Funeral process, but to also listen to their needs and design the Funeral to reflect the unique character of their loved one's life. Cremation, Burial, Repatriation, New Born or Centenarians, Child or Adult, our experience as Funeral Directors, is second to none. 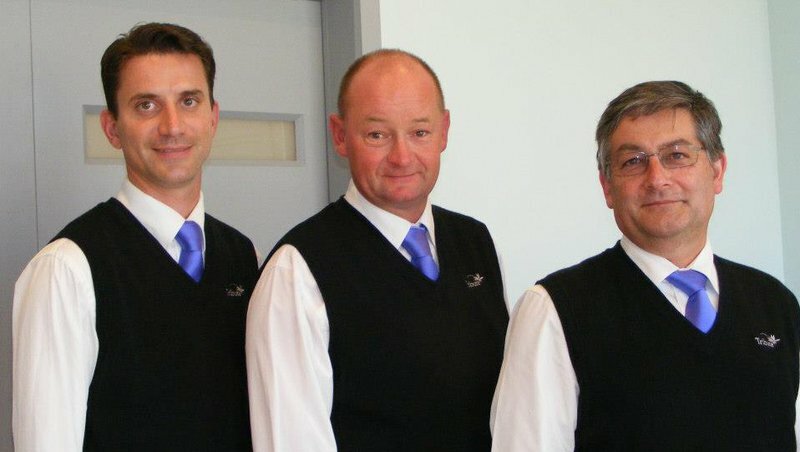 Our dedicated Staff, have over 35 Years combined experience in Funeral Services, with an eye for detail to provide that extra support, before, during and after the Funeral Service, which is appreciated by our families. Martin was fantastic with the service he gave my children and I. It was a challenging time for us and he brought it all together perfectly. He did all the thinking for me which is exactly what I needed. Thankyou so much Martin, for everything. We had been given a recommendation to use Tribute Funeral Service (Martin).. from the first time i contacted Martin on the phone, he was so caring compassionate and had plenty of time to talk to me and explain to me the procedure of what was involved. we turned up at the funeral service unannounced and Martin greeted us and sat us down and went right thru everything ..we knew then that we had made the right choice of funeral director...he had quality time for us and worked with us to ensure everything was in place to give my father the best service ever. On the day it all turned out and flowed just as planed ..all guests had said that it was a "lovely service" and i couldn't agree more. I would highly recommend Martin from Tribute Funeral Service to anyone. 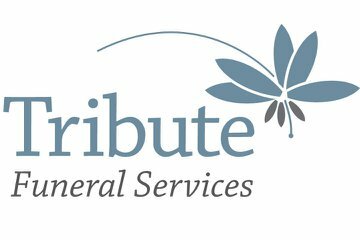 Tribute funeral services were great.Competative pricing and very genuine.Highly recomend them because they are good at what they do and also take time to listen with alot of advise at such a difficult time. We were satisfied with all aspects of the service provided. The staff were professional, friendly and the attention to detail was first class. Would not hesitate to recommend their company. Hi, We would just like to say how Professional Tribute was in helping & arranging the service for Barbara, we would highly recommend Tribute to other family & friends in the future, they were polite, understanding & patient, before, during & after the funeral. Regards, Victoria & Roderick Moore. First time using Tribute I am exceptionally happy with their professional compassionate and understanding service and no hesitation in recommending them. For what is a horrendous time in ones life, the care and service I received from Martin at Tribute was unbelievable. Nothing was too much trouble and his compassion was second to none. Everything was handled with professionalism and the service was something I think my Uncle Pete would be proud of. Many thanks Martin. Thank You Martin for a wonderful service. Tribute funeral services were excellent with myself and my family. Both Michael and Martin in particular were very warm and compassionate and our celebrant Lynnette was wonderful. I would reccomend them to anyone. Thankyou ! Martin and Michael were absolutely brilliant during our time of loss. They could not have been more helpful and were genuinely caring. They made an extremely difficult time as painless as possible. I cannot speak highly enough of Tribute Funeral Services. Highly recommend tribute funerals to anyone looking for a funeral company for a family members funeral. This is the second time we have used them and definitely won't be the last. We engaged Tribute though a friend's recommendation . Martin and team , I'm sure , went above and beyond the call of duty . They were most sensitive when dealing with us , knowing that some of our requirements were a little different , and at the same time helped us to keep the ball rolling to ensure that the day - from the service , to the committal then the wake went ahead as planned . Their level of professionalism and also empathy and care was most touching , again above the call of duty . When you are in need of a funeral director , you have other things on your mind , and they acted as if they knew this . Excellent and caring service from people who know their business very well. I could not have asked for a better team to ensure that Bob got the farewell he deserved.